Have you ever found yourself wondering what makes someone successful at work? Chances are, like many people you imagine that the key to success at work is intelligence or going above and beyond the demands of the role such as working extra long hours or taking on extra commitments. However, in modern workplaces characterized by staff cutbacks, deadlines, rivalry and organizational change, success relies on an individual’s capacity to cope and even thrive when faced with stress. Broadly speaking, resilience is the ability to ‘bounce back’ when encountering the challenges that are an inevitable part of life. The workplace presents a different range of stressors to employees. What is resilience in the workplace? Why is it even important? Can individuals even become more resilient anyway? The exciting thing about resilience is that it is a skill. Like any skill, with practice, resilience can be learned. This article describes resilience in the workplace and provides helpful tips about how people can be more resilient at work. It will define exactly what is meant by ‘resilience in the workplace’, describe some examples of developing personal resilience at work and then explore ways to enhance resilience. What is Resilience in the Workplace? Consider a workplace that is undergoing radical change. One may expect that the effects of this ongoing stress would be detrimental to staff. After all, their livelihood may be at stake. A research study by two management consultants studied this very phenomenon. Over a period of twelve years, S. Maddi and D. Khoshaba studied employees of a large US telecommunications company during a time when this industry was being de-regulated. The company was constantly changing and jobs were at stake. However, what the research showed was most surprising. During the twelve-year period in which the study took place, almost 50% of the employees lost their job and a further two-thirds experienced significant stressful life events (including divorce, mental health issues like depression and anxiety, and heart attacks). Despite this, one-third of the workers not only survived the tremendous challenge they faced, they actually flourished! In their book, called ‘Resilience at work: how to succeed no matter what life throws at you’ Maddi and Khoshaba (2006) report that of the individuals they studied, the employees who retained their positions rose to the top, whilst those who were unfortunate enough to lose their job either started their own companies or took ‘strategically important’ employment in other companies. ‘the good news is that although some people seem to be born with more resilience than others, those whose resilience is lower can learn how to boost their ability to cope, thrive and flourish when the going gets tough’. So, resilience can be enhanced! The personality trait of hardiness has been found to buffer or lessen the negative effects of stressful events or adversity (Jackson, Frito, & Edenborough, 2007). It is possible to learn habits and strategies to increase hardiness. Furthermore, by developing effective strategies for reducing vulnerability to stress and the impact of adversity, it is possible to strengthen and develop personal resilience. In order to understand what constitutes resilience in the workplace, perhaps the most accessible way to think about it is to consider what resilient employees do when faced with workplace adversity that sets them apart from the rest of the pack. What is it that these employees do differently? Resilient employees build strong connections and relationships with others (Davis Laak, 2014). These high-quality relationships can be characterized by a number of features. Connections are characterized by effective communication in which an individual listens actively and is responsive to their colleague and their emotions (Davis Laak, 2014). In positive workplace relationships, a resilient worker will do what they can to help another person to achieve success in the workplace. The resilient worker is a team-player who aims for a win-win with their fellow employees. Social support plays an important role in workplace resilience (Jackson, Firtko, & Edenborough, 2007). It is beneficial to develop personal as well as professional networks, which can be a source of guidance and support during times of stress or simply to provide a nurturing relationship. It is also helpful for employees to have contact with colleagues outside of their own immediate work setting. These people can provide validation to the worker, and can potentially be accessible to the individual when accessing support within their own work situation would make the employee vulnerable (Jackson et al., 2007). Resilient employees nurture the work networks they have developed, consistently building trust with others. However, a surprising finding in the research was that resilient employees don’t take the work environment too seriously. They introduce an element of ‘play’ to the workplace, which further fosters positive emotions amongst employees. Modern workplaces are certainly typified by stress. Technology and access to the Internet mean that, for many, work is a constant presence. No longer does one establish a career which they then stay in for the duration of their working life. Resilient employees are able to manage stress effectively so it is not overwhelming and detrimental (Davis Laak, 2014). By actively engaging in self-care and nurturing themselves after a stressful incident, however minor, resilient employees avoid ‘burnout’. Another characteristic of a resilient employee is that the individual is true to their ‘real’ self (Davis Laak, 2014). They are authentic and behave in a way which is in alignment with their values and beliefs. If you like, they ‘practice what they preach’. They show grit. Grit is that fighting spirit that sets some employees apart. It can be defined as ‘having the passion and perseverance to pursue your long-term goals’ (Davis Laak, 2014). 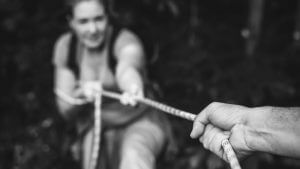 However, if grit means that an employee is striving to achieve challenging goals, this will almost certainly mean that they will encounter obstacles. When this occurs, workers have the chance to show resilience, as resilience is needed to overcome these hurdles. How resilient employees perceive their occupation and day-to-day tasks also sets them apart. These workers perceive their work as meaningful (Davis Laak, 2014). It is hardly surprising that those who feel like their toll is in an endeavor to achieve a valuable outcome are going to be better equipped to bounce back when work is particularly stressful. Examples include medical practitioners, who see their work as leading to health outcomes for patients rather than ‘fixing’ a medical problem. Having a positive focus at work is a component of resilience. Of course, it is not that resilient employees do not experience stress. Stress is an unavoidable aspect of life, and workplaces present a multitude of stressors. However, a characteristic of resilient workers is that they will monitor their own thoughts when they are under stress and duress (Davis Laak, 2014). By acting mindfully, the employees who display resilience notice particular patterns in their thinking that may be impeding their chance at occupational success (Davis Laak, 2014). This awareness promotes a capacity to cope with stress and unexpected challenges. Modern workplaces are typified by change. The climate of work imposes on employees a need to be flexible and adaptive. Resilient workers are seen to be more able to manage inevitable changes and deal with novel scenarios. They are also more skilled at dealing with setbacks and have the capacity to move on after they encounter a stumbling block. How can an individual build their personal resilience at work? In order to address this question, think back to Maddi and Khoshaba’s study of the employees of the telecommunications company in the US. How is it that under such duress, many of the workers were able to thrive? How did they develop resilience? Resilience is a multi-dimensional construct, and consists of a cluster of factors: behaviors, thoughts, actions, attitudes, and skills. In their study, Maddi and Khoshaba identified three variables associated with the individuals’ ability to bounce back from the immense stress they faced. These were commitment, control, and challenge. “Simply put these attitudes are commitment, control, and challenge. As time gets tough, if you hold these attitudes, you’ll believe that it is best to stay involved with the people and events around you (commitment) rather than to pull out, to keep trying to influence the outcomes in which you are involved (control) rather than give up, and to try and discover how you can grow through the stress (challenge) rather than to bemoan your fate” (Maddi & Khoshaba, 2006). Let me explain further. By committing themselves to their work, the employees were more able to dedicate themselves to the tasks at hand. This enabled the workers to make sense of what exactly was going on for them. Having a sense of control empowered the employees to enable them to behave in a way which had an influence over the changes that were happening. They also viewed change and stress as an inevitable part of life. How can an individual build their resilience in the workplace? Jackson and colleagues (2007) argue that personal resilience can be strengthened and enhanced by developing a variety of effective strategies that reduce vulnerability and susceptibility to stress. By taking a positive stance at work, employees are more able to adapt to adversity and also hold on to a sense of control over their work environment. Putting energy and motivation into work, or, having ‘vigor’ – as described by Shirom (2004) – is also associated with building personal resilience. It is the ‘opposite’ of burnout, which is characterized by emotional exhaustion, physical tiredness, and cognitive fatigue or ‘weariness’. Vigor is characterized by having the capacity to put in the maximum effort at work and thus further build personal resilience (Shirom, 2004). Another example of building personal resilience at work is by developing and strengthening emotional insight. Insight is closely related to emotional intelligence. Individuals with a level of insight have a level of awareness about the full range of emotions they experience, from ‘negative’ through to ‘positive’. They will also consider the ramifications of their own reactions and behavior and the effects their own actions have on others. Psychologically resilient individuals can be described as emotionally intelligent (Tugade & Fredrickson, 2004). Individuals can build personal resilience at work by achieving a healthy work-life balance. This is especially challenging in the world we are living in. Technology can mean that employees may have access to work 24 hours a day, 7 days a week. In order to be able to bounce back from stressful situations, i.e. to be resilient, workers need to have the energy that can be easily depleted if a healthy work-life balance is not in place. Workers need time to relax, unwind and recuperate. Having a sense of spirituality has been linked to developing resilience at work. This may be related to reducing vulnerability and the impact that adversity in the workplace has on the individual. Finding meaning in work, and feeling that this work is contributing to a greater good, can buffer against the effect of stress. It may also be because spirituality may lead employees to view even stressful situations as having positive aspects, or ‘purpose’, and appreciating potential benefits. Becoming more reflective is another way individuals can build resilience at work. In other words, being in tune with one’s emotions and emotional reactions can serve to buffer against the effect of stress. Being aware of possible ‘triggers’ to stress can provide individuals with the opportunity to prepare and gather resources so they are better able to ‘bounce back’. 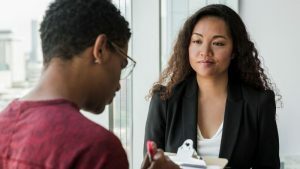 If an employee knows that a particular circumstance will be especially challenging, they can then implement coping strategies, such as seeking support. Resilience is a critical life-skill that has roots in the key to humankind’s survival. The ability to cope with stress and unexpected challenges, and even to thrive in such situations, is adaptive. This is not news to anyone! What about the workplace? Why is resilience so important in the work environment? For starters, workplaces are embedded with stress. Occupational stress affects personal and performance outcomes (Rees, Breen, Cusack, and Hegney, 2015). Furthermore, workplace stress is correlated with high levels of depression and anxiety, and burnout (Rees et al, 2015). As early as 1978, the effects of a stressful workplace were reported by Pines and Maslach, who introduced the term ‘burnout’ to describe a state whereby employees experience physical and emotional exhaustion, depersonalization, and a sense of low personal accomplishment. Burnout has a heavy toll on workplaces, both productively and economically. Burnout is associated with increased rates of absenteeism and reduced productivity – not to mention the negative impact it has on employees. Psychologically resilient employees are better able to cope with stress, and less likely to suffer from ‘burnout’. Clearly this is of benefit to the employer! Resilience has been associated with various positive states, including optimism, zest, curiosity, energy and openness to experience (Tugade & Fredrickson, 2004). These positive emotional states are of tremendous value to the workplace. In addition to the more immediate value of positive states, Fredrickson (2004) put forward the argument that positive emotions lead to ‘thought-action repertoires’ which then result in an urge to think/act in a certain direction. To put this simply, the experience of positive emotions (fostered by resilience) can expand activity, open an employees’ eyes to a range of possibilities, and increase the likelihood of more creative solutions for workplace behaviors (Fredrickson, 2004). Positive emotions also serve as a ‘buffer’ against workplace stress (Tugade & Fredrickson, 2004). How? Well, positive emotions enable individuals to make positive appraisals of what otherwise may have been a stressful situation. Also, those who experience positive affect are more likely to use problem-focused coping which is of great benefit in the work environment. When individuals feel more positive, they tend to also interpret seemingly ordinary events and experiences as positive. Thus, positive emotions foster positivity in the workplace. Resilience is not only important for its impact on psychosocial factors such as burnout, adaptive workplace behaviors and buffering against workplace stress. Resilience has also been implicated in physical wellbeing. Tugade and Fredrickson (2004) found that “the psychological mindset involved with resilience is reflected in the body as well”. Naturally, if employees have better physical wellbeing, they will have a greater capacity to undertake their work, and – in turn – be better placed to further adapt to adversity! It is a win-win situation. So, it is clear that resilience is highly important in the workplace. How can businesses encourage resilience in the workplace? What can be done? Well, workplace training has been found to be effective. Studies support the positive impact of resilience training. But what does that exactly entail, and is resilience in the workplace training really beneficial to employees and businesses? Resilience training has been found to have a positive impact on mental health and subjective wellbeing (Robertson, Cooper, Sarkar & Curran, 2015). Research suggests that resilience training may play an important part in public health and health prevention (Joyce, Shand, Bryant, Lal & Harvey, 2018). This is because resilience training has the power to protect the long-term health and wellbeing of employees. Resilience training varies according to the content of the material presented, and the way in which the training is delivered. Resilience training may take a variety of forms – including online training, group-based training, one-to-one training and a combination of group-based and one-to-one training (Robertson et al., 2015). Robertson et al. (2015) reviewed 14 studies, and they found that 12 studies reported a beneficial effect of resilience training. However, a limitation of their review was that only 6 studies directly measured resilience (of which, three showed a significant, positive effect). The authors also found that resilience training was especially effective for positive mental health and subjective wellbeing outcomes (including stress, depression, anxiety, and negative mood/affect/emotion). An example of a resilience training program was developed at the University of Pennsylvania, called the Pennsylvania Resilience Program (PRP). This particular program aimed to enhance protective factors associated with resilience in the workplace, including optimism, self-efficacy, problem-solving, self-regulation, flexibility, emotional awareness, empathy and the development of strong relationships (Robertson et al., 2015). What does a resilience training program look like? Resilience training may consist of skills-based coaching, developmental/executive coaching or mindfulness and compassion-based practices (Robertson et al., 2015). Researchers in the field of resilience have turned their attention to evidence-based therapies from which to develop resilience training. For example, research training has been developed from ACT (Acceptance and Commitment Therapy), CBT (Cognitive Behavior Therapy), Mindfulness-based Cognitive Therapy, and Mindfulness-based Stress Reduction (Joyce et al., 2018). A more novel approach to resilience training has seen workers utilize technology to self-regulate stress responses (Robertson et al., 2015). Studies have supported the role of mindfulness training on psychological resilience, therefore making it a helpful intervention in resilience training in the workplace (Joyce et al., 2018). Mindfulness-based resilience training typically involves the teaching of cognitive strategies, mindfulness training, provision of psycho-educational material, and goal setting (Joyce et al., 2018). The findings from one study of resilience training were reported by Joyce and colleagues (2018). Their resilience training was delivered to 29 full-time firefighters. The training, called “Resilience @ Work” (RAW) consisted of 6 internet-based sessions. The training was mindfulness-based and was delivered to the participants online. Compared to baseline measures, participants were found to have increased resilience after the RAW training. This finding was valuable, as many resilience training programs are delivered via multiple face-to-face sessions. Most commonly, resilience training is delivered to groups over a 10 – 11-week period. This mode of delivery is disruptive to business and is extremely costly both in time and in resources. The success of Joyce et al.’s intervention offers promise for more cost-effective resilience training options available to workplaces. At face value, it appears that resilience training is an effective way to increase employees’ capacity to deal effectively with stress and overcome challenges. However, it should be kept in mind that the effectiveness of training – like any educational program – is moderated by the nature of the training. Some common challenges and stressors can be anticipated at work. To develop resilience in team-members, checklists and guides are a helpful way to provide employees with a resource they can turn to when dealing with the challenge. The resource can be a ‘go-to’ guide for staff. The resource might include tips for troubleshooting, guidelines for escalation (if necessary) and the key questions to consider in difficult situations. A good idea is also to document ‘standard operating procedures’ for the workplace. As well as providing invaluable information for new staff, having these procedures written down and accessible means that the team can maintain their basic work tasks as efficiently as possible. Therefore, when unexpected challenges arise, the staff have freed up some capacity to deal with the stressor. In any team, experts may at times need to be called upon. A valuable resource is a table/spreadsheet that contains the names and contact details for people who are in the position to support the team when particular challenges arise. In order to develop the resilience of any team, it is worthwhile to conduct team resilience training (as was described in the previous section), such as facilitated group sessions. The benefit of training for a team is that it helps the team members develop a group understanding, which promotes cohesion of the team and promotes positive team coordination. Some tasks that are physical in nature can be practiced, by handling simulated challenges. This sort of training has been used extensively in training of medical professionals. It is also good for team-members to consider any resilience behaviors that they displayed during the simulation, and an observer may also be involved to provide feedback to individuals. Obviously, due to practicalities and safety reasons, it may not be possible to ‘re-create’ a challenge. In this circumstance, cognitive tasks may be helpful. For example, the person in charge of training could provide the team with a scenario for a possible event (i.e. an emergency) and ask them to think about the problem and discuss what they would do in the scenario. Again, feedback is helpful throughout this process. After any challenge or stressful event, it is valuable for a workplace to offer its’ employees ‘post-challenge’ debriefing. These sessions will encourage reflection about the experience. It is also helpful to facilitate team discussion about the challenge and how employees coped. This also facilitates team members supporting one another. This process can also include action planning for the team. 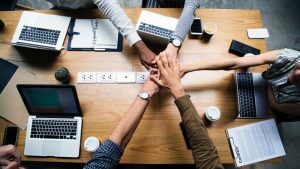 As well as being a helpful process following a particularly stressful event, team debriefing can also be a valuable thing to do after a period of time when there has been a string of low-level chronic challenges, which tend to deplete teams and are draining. Finally, the culture of a team is a key to promoting resilience. This forms the basis for “team resilience”. It is the responsibility of a team-leader, or supervisor, to create the right atmosphere for his/her team. They can facilitate the development of positive work culture by consistently demonstrating behaviors (described shortly) and also reinforce the behaviors in employees. Be able to express when there is a need in the workplace to switch to and from ‘emergency’ modes of operating. Lastly, but importantly, once the challenge has passed, to encourage resilience team members to thank others for their help, and discuss any other challenges. By putting these strategies into place, a resilient team can slowly but surely be developed. Louise Grant and Gail Kinman edited this handbook, which was published in 2014. It is designed for social work students and practitioners, to provide them with tools and strategies they can use to maintain wellbeing in an emotionally demanding profession. It aims to help students and practitioners alike to build the skills which will help develop emotional resilience. Whilst traditionally in social work resilience has been studied in relation to those who have survived trauma, especially children, it is now understood that social workers also need a range of skills in order to effectively manage the emotional demands of their job. In other words, social workers need to be resilient! This book is an engaging text that provides social workers and students with practical tools and strategies which can be used by the reader to manage their own wellbeing and to develop resilience. The book is grounded in theory and practice. The interventions and strategies introduced are evidence-based, and because it is written by practitioners, the audience is in a position where they are more likely to relate to the issues and themes introduced. A feature of this text is the case-studies included throughout, which really bring the book to life for its’ readers. Included in the text are a range of topics relevant to social work students and practitioners. For example, some of the issues explored include boundaries, personal organization, and time management. The book also looks at the role of critical reflection and reflective supervision in developing resilience. It explores Cognitive Behavior-based strategies, and the chapter on mindfulness can also help readers develop skills for coping with a highly stressful work environment. It covers peer support, peer coaching, and how to increase self-knowledge, develop coping skills and stress resistance. Finally, the book presents an integrated approach to resilient individuals and organizations. Louise Grant has spent the last seven years teaching both qualifying and post-qualifying social workers. She is the principal lecturer at The University of Bedfordshire. From her experience, Louise has developed an awareness of the complexities of social work practice, its’ demanding nature and what is required to achieve wellbeing and develop emotional resilience in practice. Gail Kinman is a psychologist, with a particular interest in the area of Occupational Health Psychology. She is involved in a variety of research projects. However, her most significant focus is on the wellbeing of people who work in emotionally demanding professions. Perhaps one of the most stressful situation workers can encounter is when layoffs are imminent. At this time, more than ever, the need to be resilient is tremendous. Even workplaces that are generally quite friendly become super competitive when staff are being made redundant. Staff may begin gossiping, and engage in self-promotion – even at the expense of others. Preparation is the key to dealing with so many stressful situations. After all, if we mentally prepare by planning for the ‘worst-case scenario’ this can help us develop coping strategies. It helps employees to cope with the stress of layoffs if they are ready to ‘bounce back’ should they actually lose their job. It can help employees to have a plan of action, a ‘plan B’. It is always a good idea to have a back-up plan! It is also helpful for staff to ensure they are up-to-date professionally in case they need to look for a new position. This may involve updating profiles, such as ‘LinkedIn’ and other social networks. It is invaluable to have personal and professional connections when seeking employment. It is also a good idea for employees to review their skills in order to be competitive. This may also involve taking part in additional training or certification or completing professional development. If the employee is fortunate enough not to lose their position, these extra qualifications and skills look impressive on the CV regardless! It is wise during times of layoffs for workers to be financially cautious… ’just in case’. It is sensible to avoid spending money on unnecessary ‘extras’ or big-ticket items. At this time, Wardle Lenio advises employees to be especially responsible with their money and using credit cards carefully. Even if under extreme pressure in the workplace, it is advisable for employees to avoid toxic workplace discussions and gossip. Even if stressed, it is probably also better to avoid talking at any length about layoffs to your superiors. Engaging in ‘worry talk’ at work will only strengthen the experience of stress and anxiety. It is best for workers to continue fostering positive engagement with colleagues and aim to protect their professional network. It can be helpful for employees to remind themselves of the reason they are at work… in other words, to do their job. They should do their best to try not to waste time at work worrying about something that may not even happen. At work, an employee’s first priority needs to be doing the job they are being paid to do! At this time, employees may be under scrutiny. It is therefore worthwhile for employees to prove that they ‘earn their keep’ and that they are a valuable asset to the business. By making hard-work and dedication to performance their number one priority, this will actually help reduce stress in the workplace. It is great for workers to make success their focus – to ensure that they work thoroughly and conscientiously, and to make sure they meet any deadlines. Furthermore, employees can prove their worth by going the extra mile and taking the initiative to complete extra work. If it is at all possible, workers are wise to make the hard work they are doing known about! During layoffs, it is worthwhile for employees to prove that they are a valuable employee. Many reasons lie behind why layoffs are made, and many are out of our control. However, workers can give themselves the best chance of retention by being the best employee they possibly can. It is best to prepare thoroughly, maximize relationships in the workplace and in the professional network and, finally, to work hard. At the end of the day, this will put employees in good to stead to achieve the career goals they have for themselves. Still keen to learn more?! These are a few relevant YouTube videos. Enjoy! I hope that you have found this article relevant and interesting. The importance of resilience in the workplace cannot be underestimated! Given that we spend roughly one-third of our day at work, this means that being able to ‘bounce back’ when presented with the inevitable challenges work presents is a very important issue to consider. Having the capacity to deal with ongoing stress at work, to adapt efficiently to change, to cope with the threat of job loss, and to handle the pressure of deadlines is important not only for succeeding at work but also contributes to our overall health and wellbeing. Hopefully this article has shed light on what it means to be resilient at work and provided helpful tips to becoming more resilient at work. Maybe now would be a good time to reflect upon your own resilience in the workplace. What could you do to cope more effectively with workplace stress? Feel free to refer to this piece when considering how not only to cope at work, but ideally, to thrive! Comments and ideas about resilience at work are welcomed. Alliger, G. M., Cerasoli, C. P., Tannenbaum, S. I. & Vessey, W. B. (2015). Team resilience: How teams flourish under pressure. Organizational Dynamics, 44, 176-184. Centre for Confidence and Wellbeing (2006). Resilience at work. Retrieved from http://www.centreforconfidence.co.uk . Fredrickson B. (2004) The broaden‐and‐build theory of positive emotions. Philosophical Transactions of the Royal Society London B Biological Sciences 359, 1367–1377. Maddi, S., & Khoshaba, D. (2005). Resilience at work: how to succeed no matter what life throws at you. New York: American Management Association. Pines, A., & Maslach, C. (1978). Characteristics of staff burnout in mental health settings. Hospital and Community Psychiatry, 29, 233 – 237. Shirom A. (2004) Feeling vigorous at work? 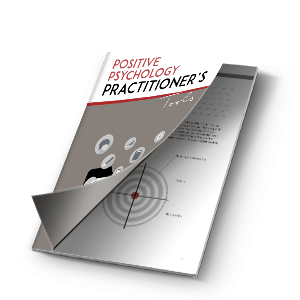 The study of positive affect in organizations. Emotional and physiological processes and positive intervention strategies. Research in Occupational Stress and Well Being 3, 135–164. Tugade, M. M., & Fredrickson, B. L. (2004). Resilient individuals use positive emotions to bounce back from negative emotional experiences. Journal of Personality and Social Psychology, 86, 320 – 333.